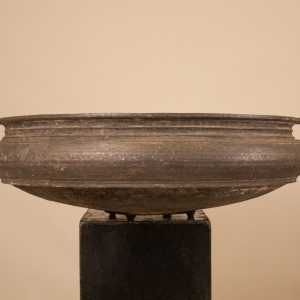 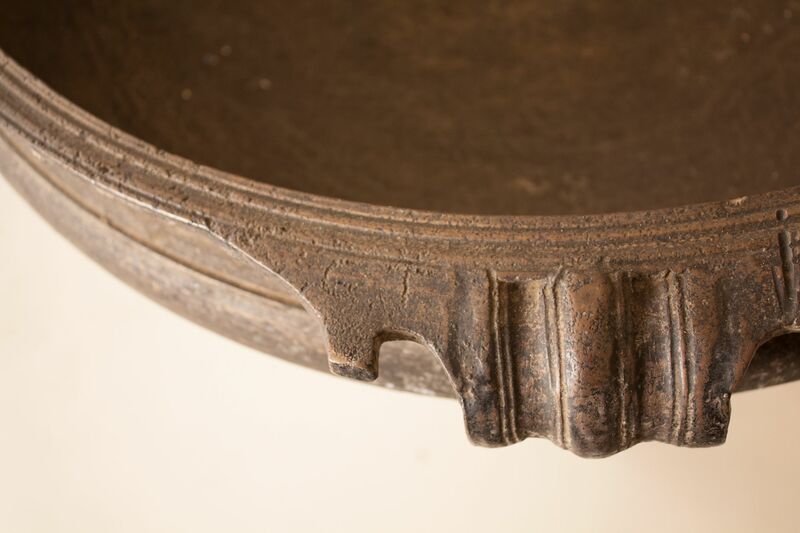 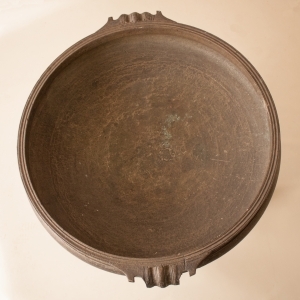 A solid bronze urli from Kerala, India, circa 1870. 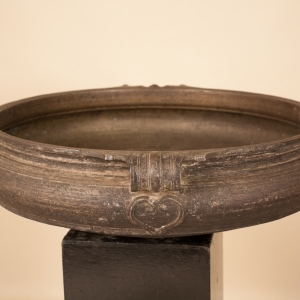 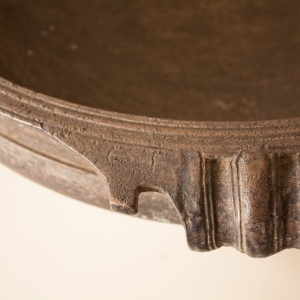 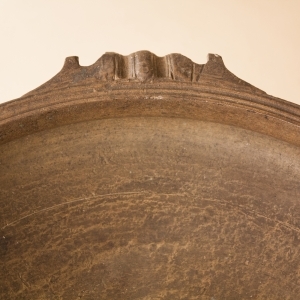 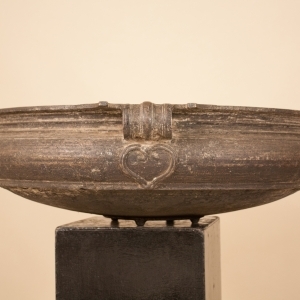 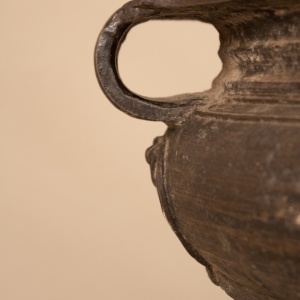 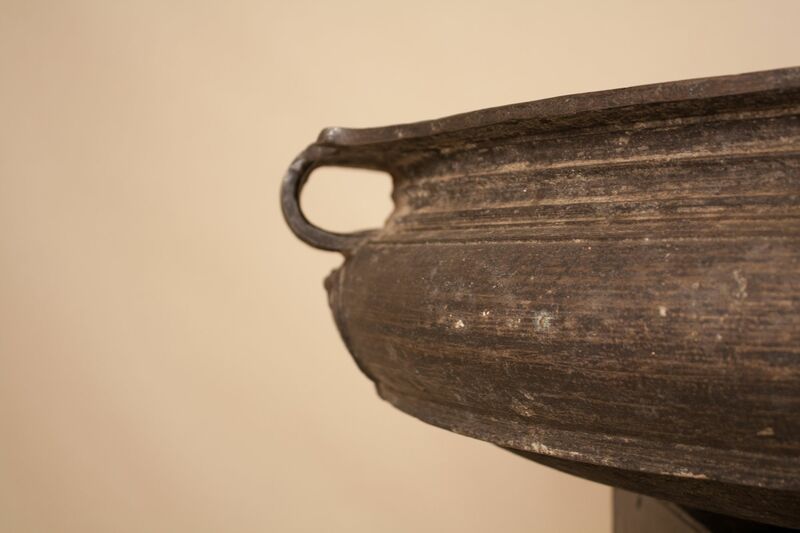 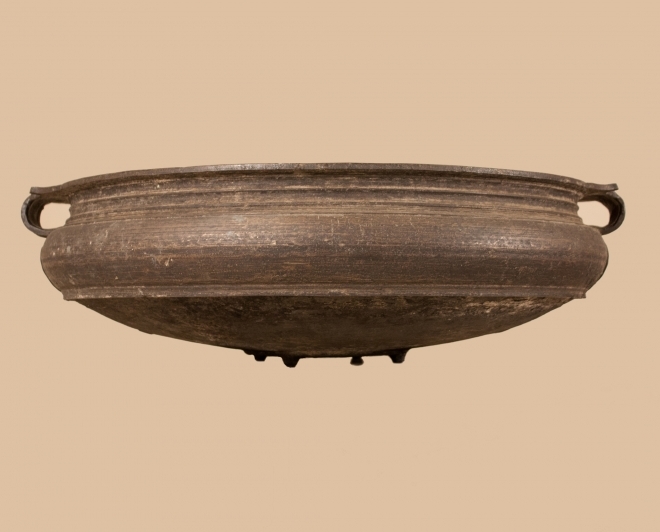 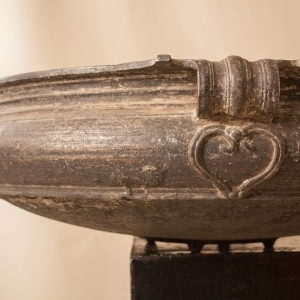 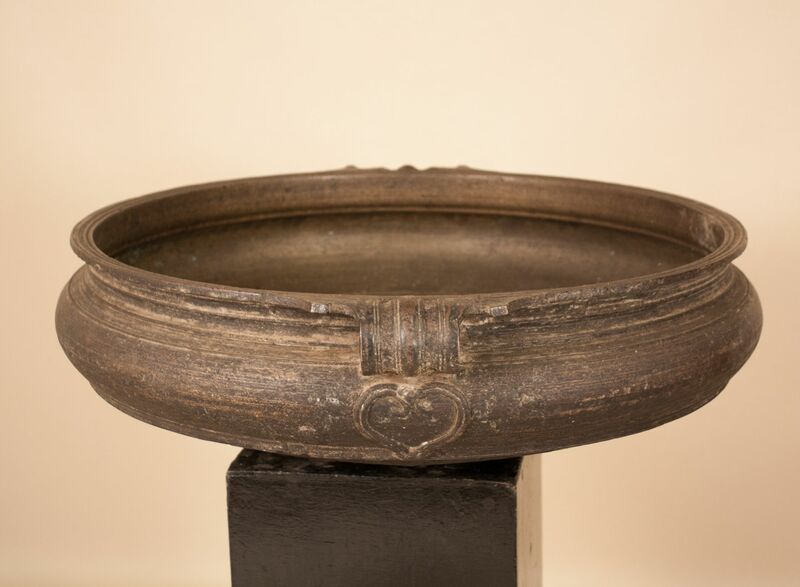 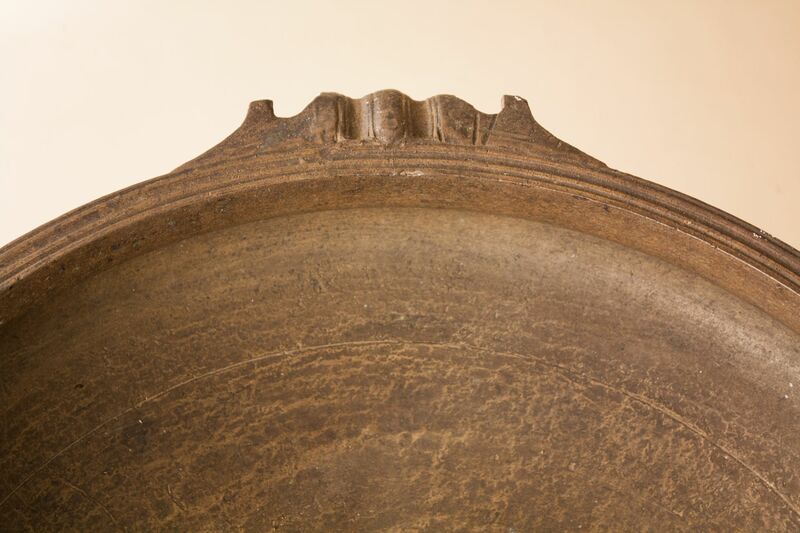 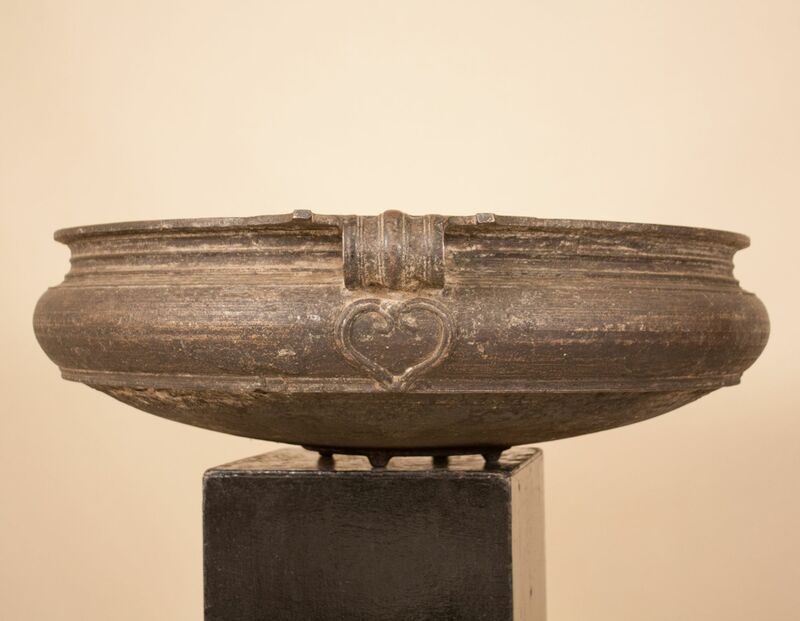 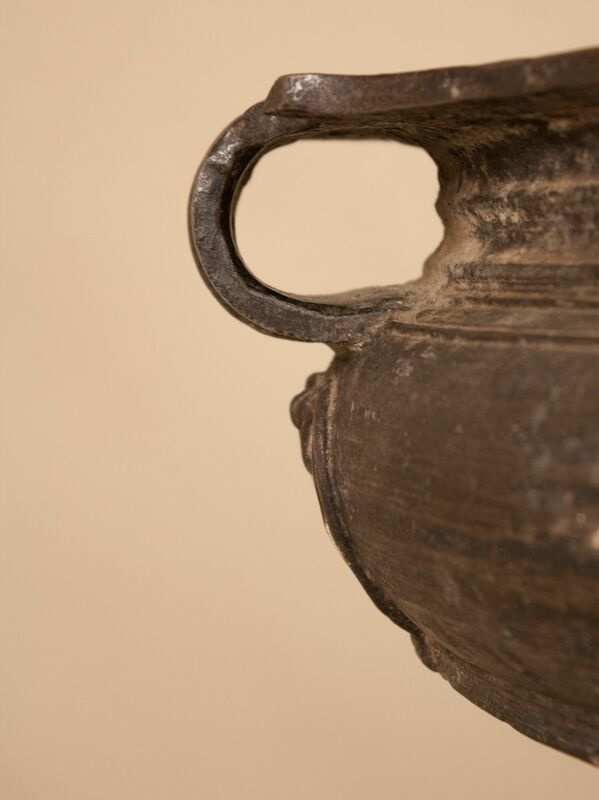 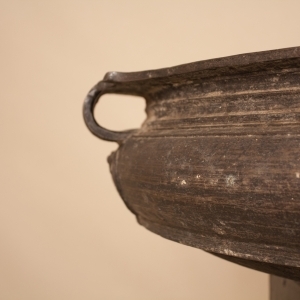 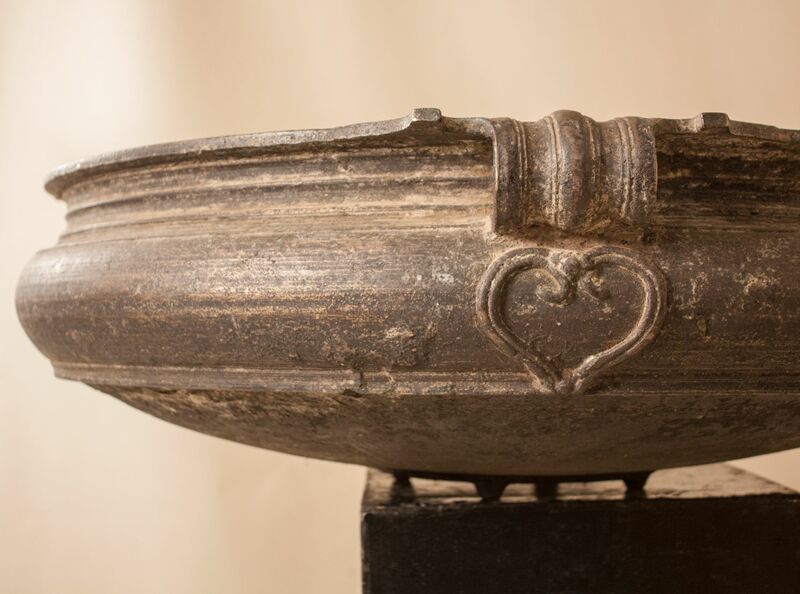 This hand cast vessel has wonderful patina and traditional form—including scrolled handles and heart-shaped details. 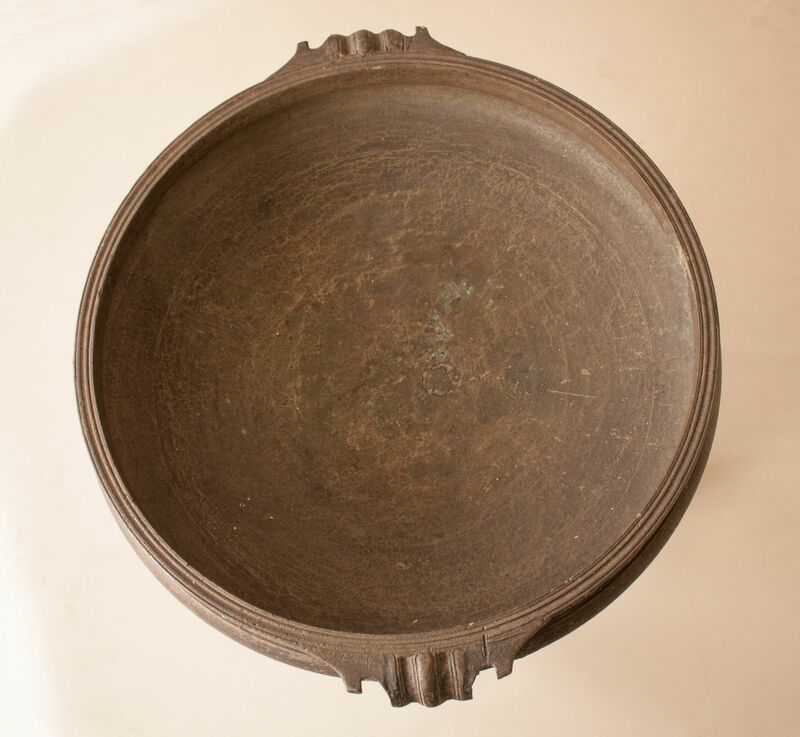 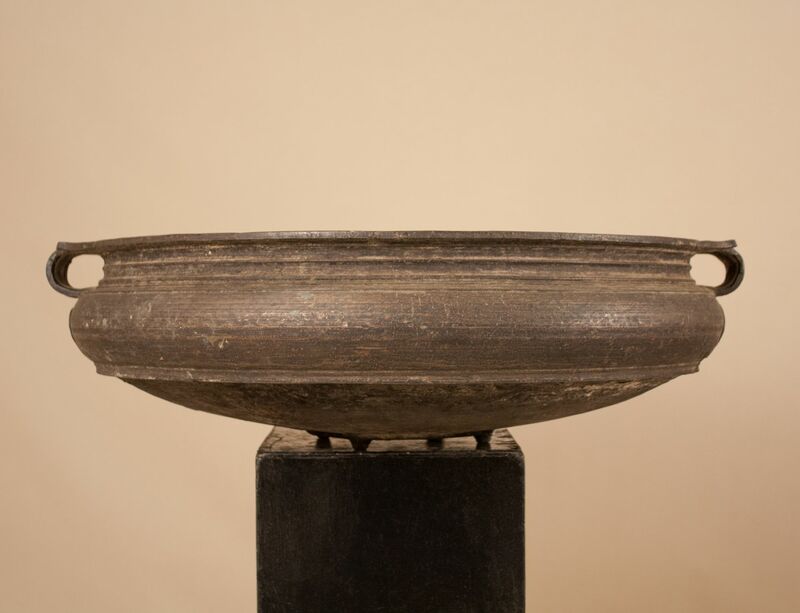 Still used for preparing food over a fire at weddings and other celebrations in South East Asia (see last image for charring on bottom), the urli also offers a peaceful presence in home or garden when filled with plants, floating flowers and/or candles, or nothing at all. 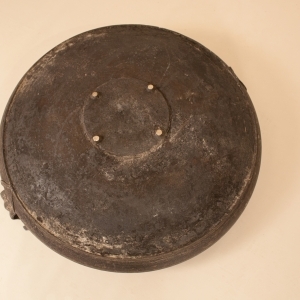 Dimensions: 32" diameter x 9.50" height. 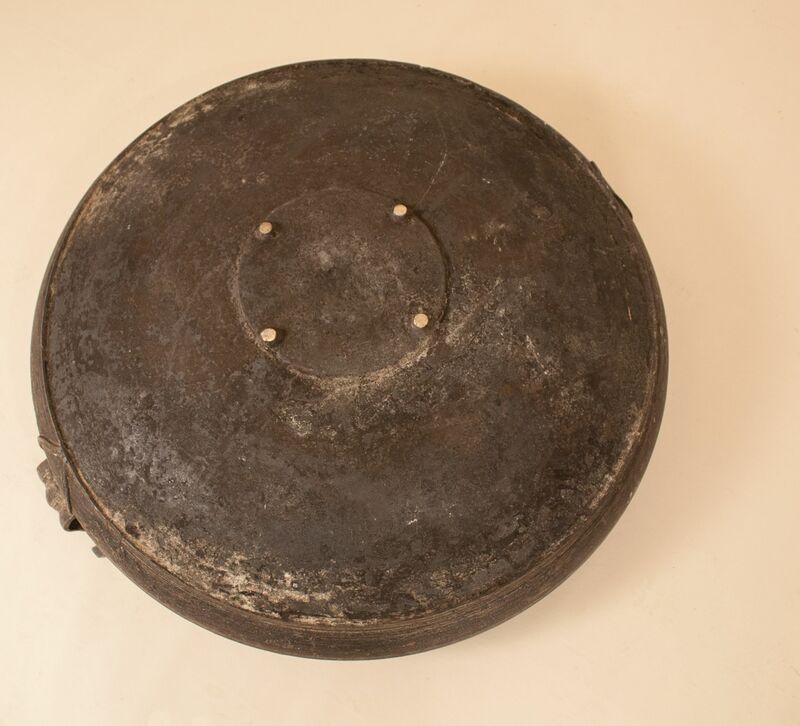 Weighs approximately 90 pounds.